Known for its family-friendly appeal and near year-round sunshine, St. George is nestled in the heart of Southern Utah’s Color Country. Surrounded by red rock vistas and breathtaking desert scenery, SunRiver Communities has become a focal point for a variety of activities in the greater St. George area. The wide open spaces, warm desert temperatures and obliging breezes have made SunRiver the ideal location for resort style living, year-round. SunRiver St. George hosts an annual art festival, as well as many golf tournaments throughout the year and portions of the Huntsman World Senior Games. 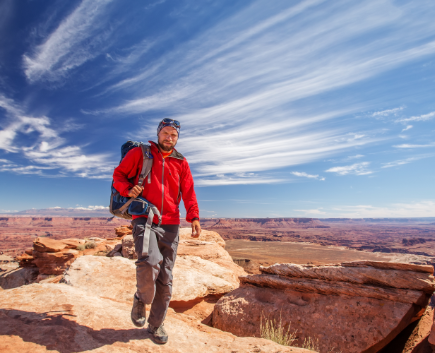 The most majestic national park in Utah is perfect for a day trip outside of St. George. 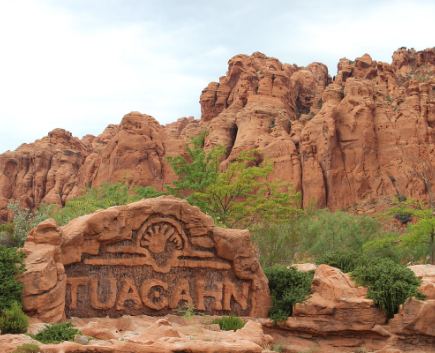 Experience Broadway in the Desert at Tuacahn’s stunning amphitheater nestled in a breathtaking canyon. 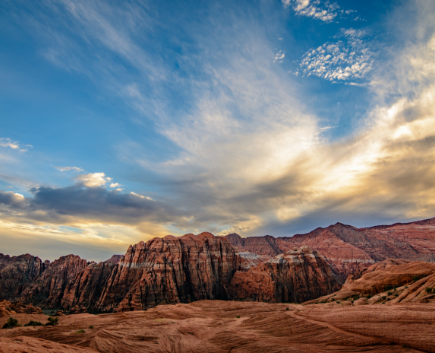 Right in St. George’s backyard, Snow Canyon is the area’s most popular state park. A perfect place for hiking! Need to let your hair down for the weekend? Sin City is just a 90 minute drive from SunRiver. Home to Arches National Park, go see the famed Delicate Arch, Balanced Rock, Devils Garden and more natural wonders. A popular vacation destination on the border of Utah and Arizona, rent a houseboat with friends and unwind. Experience the majesty of Bryce Canyon’s unique crimson-colored hoodoos—spiral-shaped rock formations you won’t see anywhere else. One of the Seven Wonders of the Natural World is only a few hours from St. George, with breathtaking views, hikes, camping and more! Held every summer in Cedar City Utah, the Tony Award-winning festival is home to world-class Shakespearean theater. Sign up with your name & email address to stay up-to-date with all things SunRiver!